You will NOT sacrifice river miles! The EXPRESS tour travels the same 7.5 miles of the Lower Yough from just below the waterfall in Ohiopyle, down to Bruner Run take-out. All of the crowd favorite rapids, like Railroad Rapid and Dimple Rapid, will be a part of your tour! You will NOT have to waste time! 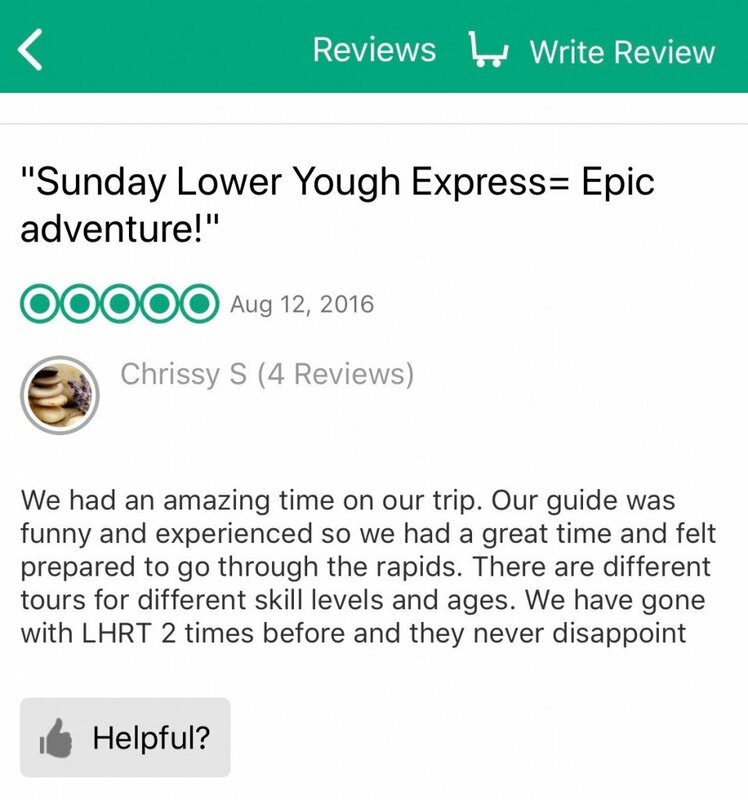 The EXPRESS tour format allows for a guide in your raft, and not only that, a guide in EVERY raft! For those seasoned rafters out there, you may be familiar with the classic mixed tour format that frequents the Lower Yough, where some rafts have guides but most rafts do not. This format requires all rafts to regroup below each major rapid before moving on down the river. For some of those un-guided rafts, this process can take some time. You will NOT feel like a herd of cattle! The EXPRESS tour will always be a smaller group of rafters! Due to Ohiopyle State Park regulations, tour outfitters in Ohiopyle are limited to the number of trip times available per day. In the good old days, this meant just 3 check-in times and over 80 rafters at each time. 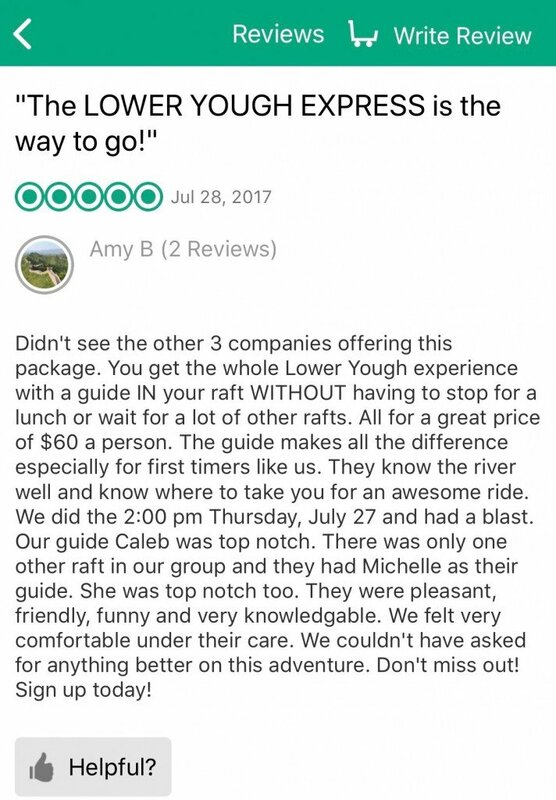 Laurel Highlands realized that is not the best way for you to experience the Lower Yough! We thought about how we like to go rafting, and it’s with a smaller group of good friends. And we want to share that experience with YOU! You WILL have just as much on the water fun! The EXPRESS tour still affords you the opportunity to swim in different areas, in between major rapids. Float along in the calmer areas of river and enjoy the beauty of the Youghiogheny River. And as long as water levels and other conditions permit, you will still get a chance to stop at Jump Rock for some super splashy fun! You WILL have more time to explore Ohiopyle! 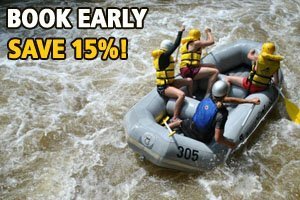 The EXPRESS tour format is approximately 3 hours long which allows for plenty of time back in Ohiopyle to experience more fun activities! Book an early morning EXPRESS tour and then check out Fallingwater afterwards. Or head up to the Ohiopyle Zip-line Adventure Park in the morning and hop on an afternoon EXPRESS tour. The possibilities are ENDLESS! We have lots of ideas on how you can spend all the extra time you will have before or after your river tour, so just ask for suggestions from one of our Adventure Specialists when making your reservation. But don’t just take our word for it! 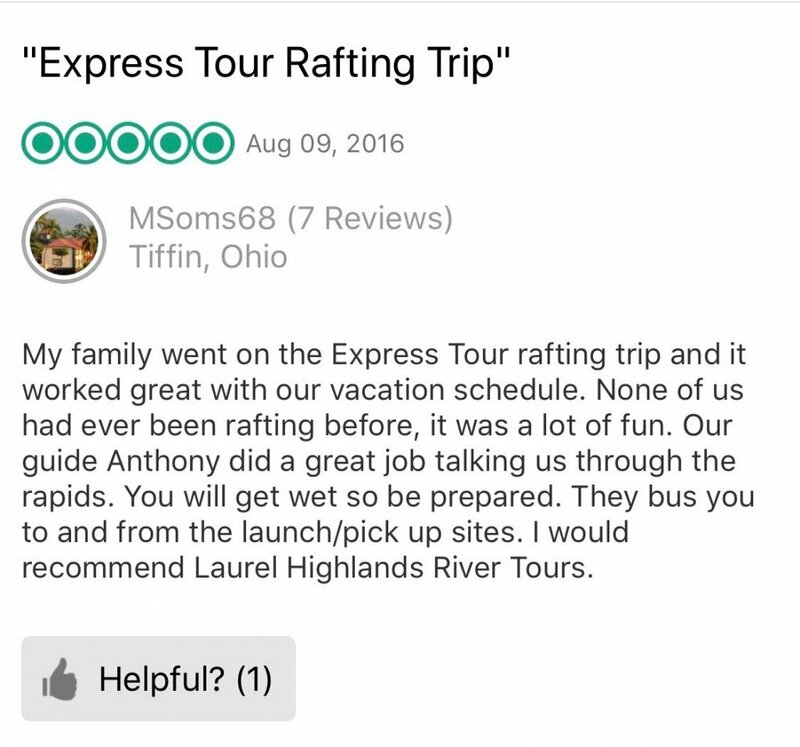 Check out what other rafters are saying about the EXPRESS tour on Trip Advisor. ← Memorial Day Weekend Fun! !